Ph. D. Economics, Cornell University, August 1992. B. Sc. Economics and Mathematics, University of Toronto, June 1986. August 2014 -December 2014 Visiting Professor University of Arizona, Visiting Professor Universidad Carlos III de Madrid. January 2007 – May 2007 Visiting Professor of Economics, National Univ. of Singapore. May 2005 – August 2005 Visiting Professor of Economics, ISER Osaka. August 2001 – August 2002 Visiting Associate Professor of Economics, HKUST. May 2000 – August 2000 Visiting Professor of Economics, Univ. Carlos III de Madrid. Fall 1994 Visiting Professor of Economics, Univ. Carlos III de Madrid. “Interacting Information Cascades: On the Movement of Conventions Between Groups,” (with James Fisher) Economic Theory, 63 (2017), pp. 211-231. “Dissolving a Partnership Dynamically,” (with Matt Van Essen) Journal of Economic Theory, 166 (2016), pp. 212–241. “Dynamic Markets for Lemons: Performance, Liquidity, and Policy Intervention,” (with Diego Moreno) Theoretical Economics 11 (2016), pp. 601-639. “Blind Stealing: Experience and Expertise in a Mixed-Strategy Poker Experiment,” (with Matt van Essen) Games and Economic Behavior 91 (2015), pp. 186-206. “Behavior in Second-Price Auctions by Highly Experienced eBay Buyers and Sellers,” (with Rod Garratt and Mark Walker) Experimental Economics 15 (2012), pp. 44-57. “Auctions with Heterogeneous Entry Costs,” (with Diego Moreno), RAND Journal of Economics 42 (Summer 2011), pp. 313–336. 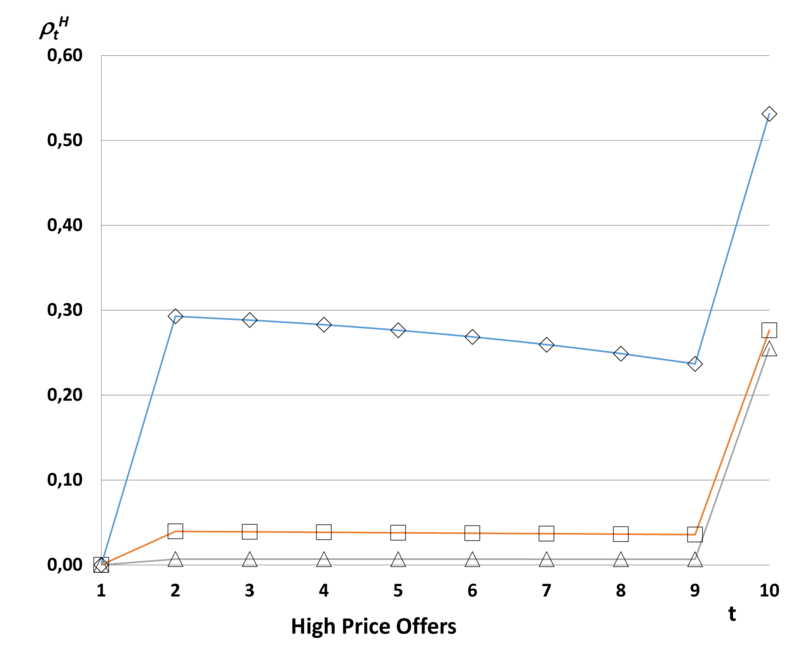 “An Experimental Study of Auctions with a Buy Price Under Private and Common Values,” (with Quazi Shahriar) Games and Economic Behavior 72 (2011), pp. 558–573. “Equilibrium Play in Matches: Binary Markov Games,” (with Mark Walker and Rabah Amir) Games and Economic Behavior 71 (2011), pp. 487–502. “Does Experience Teach? Professionals and Minimax Play in the Lab,” Econometrica 78 (2010), pp. 1143–1154. “Decentralized Trade Mitigates the Lemons Problem,” (with Diego Moreno), International Economic Review 51 (2010), pp. 383-399. “Mixed Strategy Equilibrium,” (with Mark Walker), The New Palgrave Dictionary of Economics, Second Edition, Eds. Steven N. Durlauf and Lawrence E. Blume, Palgrave Macmillan (2008). “Reputation in Auctions: Theory, and Evidence from eBay,” (with Dan Houser) Journal of Economics and Management Strategy 15 (2006), 353-369. “Hard and Soft Closes: A Field Experiment on Auction Closing Rules,” (with Dan Houser), in Amnon Rapoport and Rami Zwick, Eds., in Experimental Business Research, Vol. 2: Economic and Managerial Perspectives (2005). “Bidders’ Choice Auctions: Raising Revenues through the Right to Choose,” (with Jacob Goeree and Charles Plott), Journal of the European Economic Association 2 (2004), 504-515. “Noncooperative Versus Cooperative R&D with Endogenous Spillover Rates,” (with Rabah Amir and Igor Evstigneev) Games and Economic Behavior 42 (2003), 183-207. “Prices, Delay, and the Dynamics of Trade,” (with Diego Moreno) Journal of Economic Theory 104 (2002), 304-339. “Minimax Play at Wimbledon,” (with Mark Walker) American Economic Review 91 (2001), 1521-1538. “On The Irrelevance of Risk Attitudes in Repeated Two-Outcome Games,” (with Jason Shachat) Games and Economic Behavior 34 (2001), 342-363. “One-Way Spillovers, Endogenous Innovator/Imitator Roles and Research Joint Ventures,” (with Rabah Amir) Games and Economic Behavior 31 (2000), 1-25. “Effects of One-Way Spillovers on Market Shares, Industry Price, Welfare, and R&D Cooperation,” (with Rabah Amir) Journal of Economics and Management Strategy 8 (Summer 1999), 223-249. “An Experimental Study of Communication and Coordination in Noncooperative Games,” (with Diego Moreno) Games and Economic Behavior 24 (1998), 47-76. “Walrasian Equilibrium In Matching Models,” Mathematical Social Sciences 35 (1998), 245-259. “Cooperation vs. Competition in R&D: The Role of Stability of Equilibrium,” (with Rabah Amir) The Journal of Economics 67 (1998), 63-73. “Matching and Bargaining Models of Markets: Approximating Small Markets by Large Markets,” Economic Theory 11 (1998), 215-224. “Equilibrium in a Market with Intermediation is Walrasian,” The Review of Economic Design 3 (1997), 75-89. 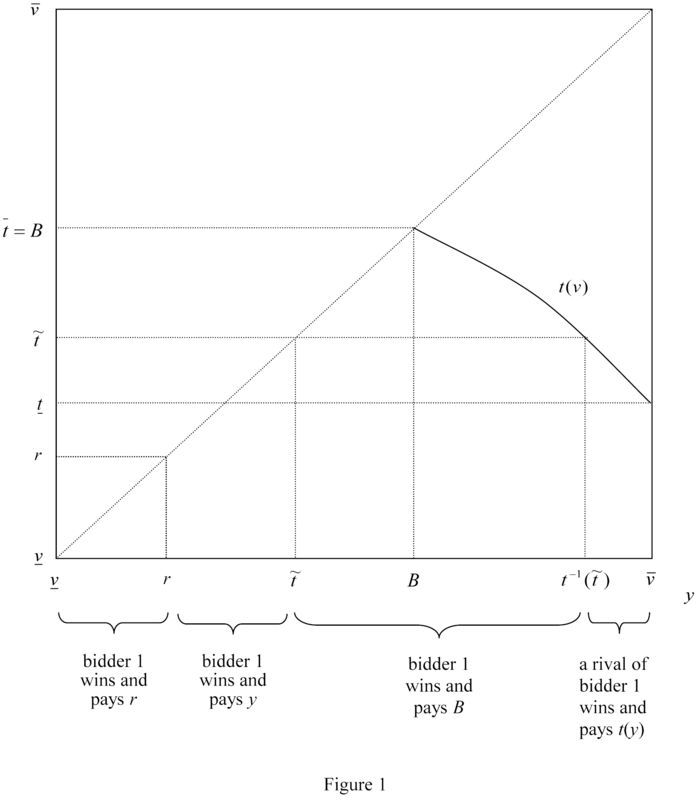 “Coalition-Proof Equilibrium,” (with Diego Moreno) Games and Economic Behavior 17 (1996), 80-112. Book Review “Analyzing Wimbledon: The Power of Statistics,” Journal of Economic Literature, Vol. LII (September 2014), 867-869. “Nash at Wimbledon: Evidence from Half a Million Serves,” (with Romain Gauriot and Lionel Page) SSRN Working Paper 2850919. “Dissolving a Partnership Securely,” (with Matt van Essen) SSRN Working Paper 2942611. Associate Editor, Economics Letters, 2012 – present. Associate Editor, Journal of Public Economic Theory, 2011 – present. Associate Editor, International Game Theory Review, 2013 – present. Associate Editor, Journal of Dynamics and Games (AIMS), 2013 – present. Associate Editor, Journal of Behavioral and Experimental Economics, 2013 – 2015. Associate Editor, Economics Bulletin, 2000 – 2006. Executive Committee: Economic Science Association, 2009 – 2012. Director (founding) of the UTS Behavioural Lab. ENCORE Fellow U. of Amsterdam, 2003-present. Miniworkshop on Skill in Games, October 10, 2008, Tucson (co-organized with Martin Dufwenberg). Conference in Honor of Vernon Smith on Exchange Mechanisms and Auctions, December 7-8, 2007, Tucson. SAET Session on Topics in Auctions, Contests, and Markets (with Diego Moreno), Cambridge, July 2015. SAET Session on Topics in Auctions, Contests and Voting (with Diego Moreno), Paris, July 2013. SAET Session on Markets with Adverse Selection (with Diego Moreno), Paris, July 2013. ASSA session on Expertise, Strategic Sophistication, and Strategic Behavior, Denver, January 8, 2011.
International Workshop on Game Theory and Economic Applications of Game Theory to celebrate the 70th birthday of Marilda Sotomayor, Sao Paulo, July 25-31, 2014. Second Brazilian Workshop of the Game Theory Society, São Paulo, July 29-Aug. 4, 2010. Behavioral and Quantiative Game Theory Conference, Newport Beach, May 14-16, 2010. PET 10, Istanbul, June 25-27, 2010. First Brazilian Meetings of the Game Theory Society, São Paulo, July 2002. Organized the invited paper session on “Testing Game Theory”. “Experience and Expertise in Mixed-Strategy Games,” Economic Science Association World Meetings, Zurich, July 2013. “Experience and Expertise in Mixed-Strategy Games,” Econometric Society Australasian Meeting 2013, Sydney, Semi-plenary, July 2013. “Dynamic Markets for Lemons: Performance, Liquidity, and Policy Intervention,” ESEI Market Design Conference at CERGE-EI, Prague, October 2012. “Do Humans Need Regulating? Insights from Experimental Economics and Game Theory,” Paul Woolley Center for Capital Market Disfunctionality, Keynote Lecture, Sydney, October 2012. “Experience and Expertise in Mixed-Strategy Play,” 5th ANZ Workshop on Experimental Economics, Sydney, Keynote Lecture, November 2010. “Professionals and Students: Mixed-Strategy Play in the Lab and in the Field,” GAMES 2008, Chicago, Semi-plenary, July 2008. “Nash at Wimbledon: Evidence from Half a Million Serves,” University of Iowa, February 2017. “Nash at Wimbledon: Evidence from Half a Million Serves,” Vanderbilt University, November 2016. “Nash at Wimbledon: Evidence from Half a Million Serves,” Washington University, November 2016. “Nash at Wimbledon: Evidence from Half a Million Serves,” Cornell University, October 2016. “Nash at Wimbledon: Evidence from Half a Million Serves,” George Masson University, October 2016. “Dissolving a Partnership Dynamically,” Deakin University, Melbourne, April 2016. “Dissolving a Partnership Dynamically,” University of Washington, Seattle, January 2016. “Dissolving a Partnership Dynamically,” UNSW, November 2015. “Dissolving a Partnership Dynamically,” University of Melbourne, November 2015. “Dissolving a Partnership Dynamically,” NYU Abu Dhabi, October 2015. “Dissolving a Partnership Dynamically,” Australian National University, August 2015. “Equilibrium and Maximin Perfection in a Dynamic Fair Division Auction,” National University of Singapore, April 2015. “Dynamic Markets for Lemons: Performance, Liquidity, and Policy Intervention,” Universidad Carlos III de Madrid, November 2014. “Dynamic Markets for Lemons: Performance, Liquidity, and Policy Intervention,” Vanderbilt University, September 2014. “Dynamic Markets for Lemons: Performance, Liquidity, and Policy Intervention,” Ohio State University, Columbus, September 2014. “Blind Stealing: Experience and Expertise in a Mixed-Strategy Poker Experiment,” Queensland University of Technology, March 2014. “Dynamic Markets for Lemons: Performance, Liquidity, and Policy Intervention,” Univ. of Iowa, September 2013. “Dynamic Markets for Lemons: Performance, Liquidity, and Policy Intervention,” Univ. of Melbourne, May 2013. “Dynamic Markets for Lemons: Performance, Liquidity, and Policy Intervention,” National University of Singapore, March 2013. “Blind Stealing: Experience and Expertise in a Mixed-Strategy Poker Experiment,” STIET Research Seminar Series, University of Michigan, November 2012. “Dynamic Markets for Lemons: Performance, Liquidity, and Policy Intervention,” Univ. of Arizona, November 2012. “Blind Stealing: Experience and Expertise in a Mixed-Strategy Poker Experiment,” University of Zurich, October 2012. “Blind Stealing: Experience and Expertise in a Mixed-Strategy Poker Experiment,” University of Alberta, September 2012. “Dynamic Markets for Lemons: Performance, Liquidity, and Policy Intervention,” Univ. of British Columbia, September 2012. “Blind Stealing: Experience and Expertise in a Mixed-Strategy Poker Experiment,” Monash University, August 2012. “Dynamic Markets for Lemons: Performance, Liquidity, and Policy Intervention,” ANU, August 2012. “Equilibrium Dynamics in Markets for Lemons,” Univ. of Queensland, May 2012. “Blind Stealing: Experience and Expertise in a Mixed-Strategy Poker Experiment,” Univ. of Southern Australia, May 2012. “Blind Stealing: Experience and Expertise in a Mixed-Strategy Poker Experiment,” Univ. of Sydney, April 2012. “Blind Stealing: Experience and Expertise in a Mixed-Strategy Poker Experiment,” Xiamen (China), March 2012. “Blind Stealing: Experience and Expertise in a Mixed-Strategy Poker Experiment,” University of Alabama, March 2012. “Blind Stealing: Experience and Expertise in a Mixed-Strategy Poker Experiment,” HKUST, November 2011. “Blind Stealing: Experience and Expertise in a Mixed-Strategy Poker Experiment,” University of Arizona, November 2011. “Blind Stealing: Experience and Expertise in a Mixed-Strategy Poker Experiment,” UNSW, November 2011. “Auctions with Heterogeneous Entry Costs,” University of Technology Sydney, February 2011. “Auctions with Heterogeneous Entry Costs,” University of Southampton, January 2011. “An Experimental Study of Auctions with a Buy Price Under Private and Common Values,” University of Melbourne, November 2010. “Auctions with Heterogeneous Entry Costs,” Australian School of Business, November 2010. 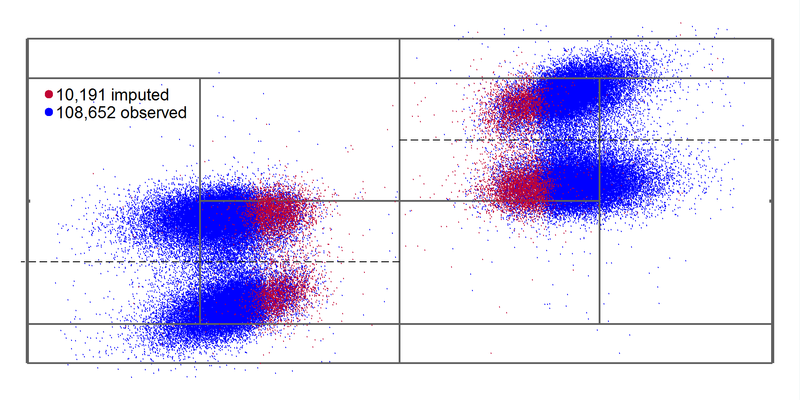 “An Experimental Study of Auctions with a Buy Price Under Private and Common Values,” George Mason University, April 2010. “An Experimental Study of Auctions with a Buy Price Under Private and Common Values,” University of Maryland, April 2010. “Does Experience Teach? Professionals and Minimax Play in the Lab,” Waseda University, June 2009. “Auctions with Heterogeneous Entry Costs,” Waseda University, June 2009. “Does Experience Teach? Professionals and Minimax Play in the Lab,” NYU, February 2009. “Auctions with a Buy Price,” University of the Basque Country, January 2009. “Does Experience Teach? Professionals and Minimax Play in the Lab,” Georgia State University, January 2009. “Does Experience Teach? Professionals and Minimax Play in the Lab,” University of Toronto, November 2008. “Auctions with Heterogeneous Entry Costs,” USC, September 2008. “An Experimental Study of Auctions with a Buy Price Under Private and Common Values,” Vanderbilt, March 2008. “An Experimental Study of Auctions with a Buy Price Under Private and Common Values,” Singapore Management University, January 2008. “An Experimental Study of Auctions with a Buy Price Under Private and Common Values,” Ohio State, Columbus, October 2007. “An Experimental Study of Auctions with a Buy Price Under Private and Common Values,” ITAM, Mexico City, October 2007. “An Experimental Study of Auctions with a Buy Price Under Private and Common Values,” CIDE, Mexico City, October 2007. “An Experimental Study of Auctions with a Buy Price Under Private and Common Values,” Universidad Carlos III de Madrid, June 2007. “An Experimental Study of Auctions with a Buy Price Under Private and Common Values,” Hong Kong University of Science and Technology, May 2007. “An Experimental Study of Auctions with a Buy Price Under Private and Common Values,” National University of Singapore, May 2007. “Economic Issues in Internet Auctions,” University of New South Wales, May 2007. “Auctions with a Buy Price,” University of New South Wales, May 2007. “Auctions with a Buy Price,” National University of Singapore, March 2007. “Dissolving a Partnership Dynamically,” SAET 2015, Cambridge, August 2015. “Dissolving a Partnership Dynamically,” Public Economic Theory Conference, Luxembourg, August 2015. “Wimbledon Revisited,” 2015 meetings of the Economic Science Association, Sydney, July 2015. “Dynamic Markets for Lemons: Performance, Liquidity, and Policy Intervention,” Chicago Fed Money, Banking, Payments and Finance Workshop, Chicago, August 2014. “Dynamic Markets for Lemons: Performance, Liquidity, and Policy Intervention,” Stanford SITE Session 3: Dynamic, Games, Contracts, and Markets, Palo Alto, July 2014. “Dynamic Markets for Lemons: Performance, Liquidity, and Policy Intervention,” EWGET: European Workshop on General Equilibrium Theory, Paris, June 2014. “Dynamic Markets for Lemons: Performance, Liquidity, and Policy Intervention,” NICTA’s 2nd Game Theory meets Optimisation Workshop,” UNSW, Sydney, April 2014. “Blind Stealing: Experience and Expertise in a Mixed-Strategy Poker Experiment,” North American Meetings of the ESA, Santa Cruz, October 2013. “Dynamic Markets for Lemons: Performance, Liquidity, and Policy Intervention,” SAET 2013, Paris, July 2013. “Dynamic Markets for Lemons: Performance, Liquidity, and Policy Intervention,” Summer Workshop in Economic Theory, Paris, July 2013. “Dynamic Markets for Lemons: Performance, Liquidity, and Policy Intervention,” 31st Australasian Economic Theory Workshop, Brisbane, February 2013. “Blind Stealing: Experience and Expertise in a Mixed-Strategy Poker Experiment,” The Econometric Society Australasian Meetings (ESAM), Melbourne 2012. “Dynamic Markets for Lemons: Performance, Liquidity, and Policy Intervention,” Society for the Advancement of Economic Theory (SAET), Brisbane, June 2012. “Equilibrium Dynamics in Markets for Lemons,” UNSW Workshop on Auctions and market Design, Sydney, March, 2012. “Equilibrium Dynamics in Markets for Lemons,” Southwest Economic Theory Conference, San Diego, February, 2012. “Blind Stealing: Experience and Expertise in a Mixed-Strategy Poker Experiment,” ASSA session on Expertise, Strategic Sophistication, and Strategic Behavior, Denver, January 8, 2011. “An Experimental Study of Auctions with a Buy Price Under Private and Common Values,” 2nd Brazilian Workshop of the Game Theory Society, Sao Paulo, July 29 – Aug. 4, 2010. “An Experimental Study of Auctions with a Buy Price Under Private and Common Values,” PET 10 Conference, Istanbul, June 25-27, 2010. “Auctions with Heterogeneous Entry Costs,” Sorbonne Workshop in Economic Theory, Paris, June 14-15, 2010. “An Experimental Study of Auctions with a Buy Price Under Private and Common Values,” BQGT Conference, Newport Beach, May 14-16, 2010. “Does Experience Teach? Professionals and Minimax Play in the Lab,” Stony Brook Behavioral Game Theory Conference, Stony Brook, July 2009. “Does Experience Teach? Professionals and Minimax Play in the Lab,” Southwest Economic Theory Conference, Caltech, March 2009. “Auctions with Heterogeneous Entry Costs,” Midwest Theory and Trade Conference, October 2008. “Does Experience Teach? Professionals and Minimax Play in the Lab,” Madrid Summer Workshop on Economic Theory, CEMFI, Madrid, June 2008. “Auctions with Heterogeneous Entry Costs,” Southwest Economic Theory Conference, UCSB, March 2008. “An Experimental Study of Auctions with a Buy Price Under Private and Common Values,” Conference in Honor of Vernon Smith, Tucson, December 2007. “Strategic Behaviour in Games,” ARC Discovery Grant #DP140103566, 2014-1017, $174,000. “An Experimental Study on Forward Induction: Incorporating Some New Thoughts,” NSF Dissertation Grant #356450 for Quazi Shahriar. “Bidding Behavior in Internet Auction Markets,” NSF Dissertation Grant #519342 for Rado Vadovic. “Experience and Expertise in Strategic Behavior,” (with Mark Walker) National Science Foundation, Grant No. SBR-0099353, June 2001-May 2003, $205,244. “Prices and Trading Patterns in Markets with Asymmetrically Informed Traders,” National Science Foundation, Grant No. SBR-9810481, August 1998 to July 1999 (Principal Investigator). Incentive Funding for Development of a Teaching Module on Emissions Trading (with Reynolds and Dufwenberg), Arizona Water Initiative, August 2008-2009, $10,000. “Competition in Internet Auctions,” (with Diego Moreno) BBVA grant, June 2004-May 2006, €40,600. “Expertise and Game Theory,” University of Arizona Foundation, summer 2001. “Prices and Trading Patterns in Markets with Asymmetrically Informed Traders,” University of Arizona Foundation, summer 1999. “Prices and Trading Patterns in Markets with Asymmetrically Informed Traders,” University of Arizona Foundation, summer 1998. “One-Way Spillovers, Endogenous Heterogeneity, and RJV performance,” University of Arizona Foundation, summer 1996. “Coalition-Proof Equilibrium Existence and Applications,” University of Arizona Foundation, summer 1995. “Information Aggregation and Transmission in Markets with Supply and Demand Uncertainty,” University of Arizona Foundation, summer 1993. Experimental Economics, 2nd Brazilian Workshop of the Game Theory Society, July 2010. Economics in the Laboratory, with Diego Moreno, Universidad Carlos III do Madrid, June 2010. Games and Auctions: Theory and Experiments, Waseda University, June 2009 (Graduate). Games: Theory and Experiments, Wuhan University, July 2008. EDG Seminar (with Toru Suzuki), Semester I and II 2013, Semester I and II 2012. Director of Graduate Studies: August 2004 – August 2006. Eller College Dean review committee, 2009-2010. Director of the Economic Science Laboratory: January 2006 – December 2007, January 2011-June 2011. Talk on “Experiments in Economics,” at the BASIS High School Econ Challenge, Tucson, April 2011. From Nash at Wimbledon: Evidence from Half a Million Serves (with Romain Gauriot and Lionel Page), SSRN Working paper 2850919, 2016. From Blind Stealing: Experience and Expertise in a Mixed-Strategy Poker Experiment (with Matt Van Essen), Games and Economic Behavior 91 (2015), pp. 186-206.